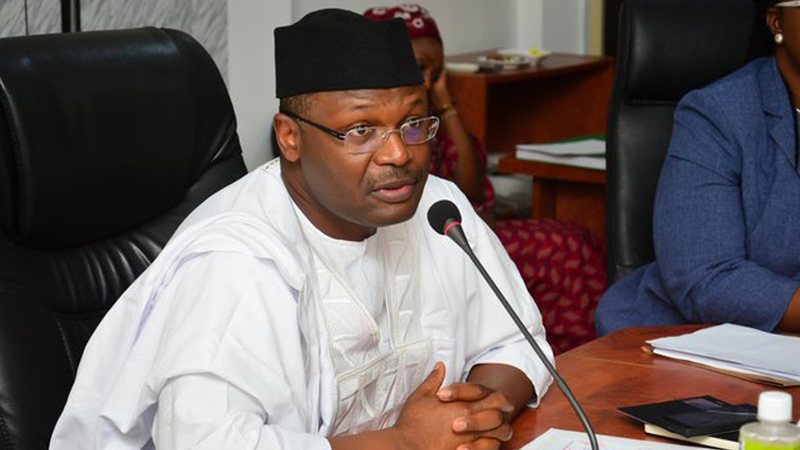 The Independent National Electoral Commission (INEC) said it would not extend the deadline for submission of list of candidates’ names by political parties for next year’s general elections. Chief Press Secretary to INEC Chairman, Mr. Rotimi Oyekanmi, told the News Agency of Nigeria (NAN), yesterday in Abuja, that the Commission had scheduled the submission of candidates’ names for the Presidential and National Assembly elections between October 10 and 18, and Governorship and State Assemblies election for November 2, and there is no extension. At Aso Hall of the International Conference Centre (ICC), Abuja, venue of the submission, some officers of political parties who got tallies on Wednesday night were still going through the submission process. A staff of the Commission, who pleaded anonymity, said issuance of tally to political parties stopped Thursday night, but due to the last-minute rush by political parties, INEC staff, security officers and other personnel on duty at the venue were unable to go home. The staff added that they had recorded about 70 out of over 80 political parties that had so far submitted their candidates’ lists, including the ruling All Progressives Congress (APC) and Peoples Democratic Party (PDP). As at 4:00pm yesterday, some political parties’ representatives were seen in front of the hall waiting for their turn to submit their forms. Meanwhile, the Ekiti State Governorship Election Petitions Tribunal, yesterday, in Abuja, admitted as exhibits, electoral materials used in no fewer than 10 councils and 109 Wards for the July 14 governorship elections. The materials were tendered by the PDP candidate, Prof. Olusola Kolapo, through his counsel, Mr. Yusuf Ali (SAN), as part of evidence to prosecute his case. The defence team, however, objected to the admissibility of the documents, stating that they were not pleaded and that some of the wards mentioned were not in contention. Counsel to INEC, Mr. Charles Uwensuyi (SAN), maintained that some of the documents tendered were not certified true copies and should therefore not be admitted. Chairman of the three-member tribunal, Justice Suleiman Belgore, who admitted the documents, said all objections should be reserved and incorporated in the final addresses of the various defendants. He further said documents admitted as exhibits could still be expunged at the end, if necessary. Counsel to Governor Kayode Fayemi, Mr. Akin Olujimi (SAN), objected to all the polling units and voting points not in contention in the petition. Ali, in his response, said he pleaded all the documents and certified true copies of the electoral materials attached to prove his case, promising to bring evidence of payment to all Certified True Copies of documents tendered.